I’m having a bit of a love affair with this necklace…it’s currently distracting me from work. 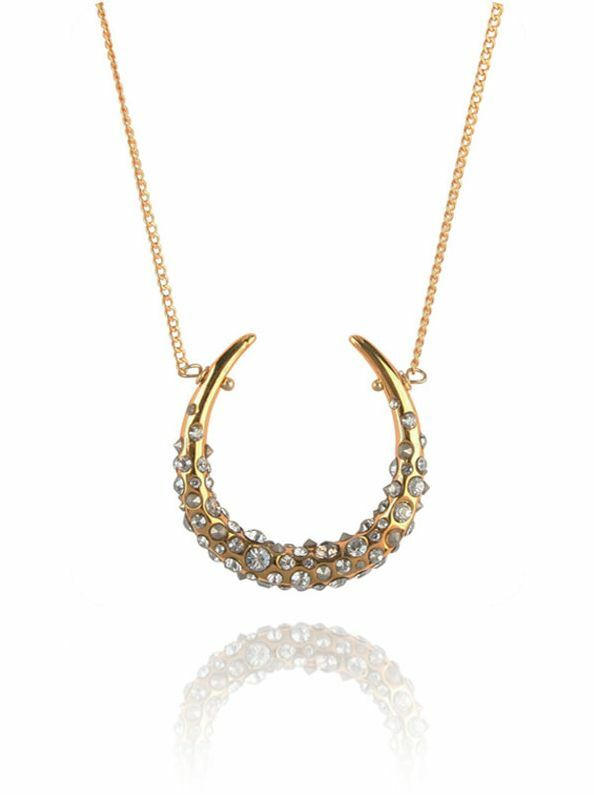 My hankering for a horseshoe necklace began a while back, and I’ve dabbled with a couple – Alex Monroe (too ethereal) and House of Harlow (too chunky) – but I think this Alexis Bittar Crystal Encrusted Necklace will be The One. Alexis Bittar has featured in Vogue and ELLE for a while but EC One have snapped up her collection from across the pond and into our virtual shopping bags. Just chunky enough and toughened up with crystals sculpted into thorny peaks, this is an original update on the everyday necklace. Plus, it’s yellow gold which I can’t get enough of. Add a tan and trout lips and I’m practically Donatella.